It's 1867, the Civil War has been over for two years but strife grips West Tennessee as animosity against former Confederates festers among returning Federalists, many of whom had been in prisoner of war camps in Alabama and Georgia, and bushwhackers who claimed to be supporting the Union during the war have become outright cutthroats and thieves. 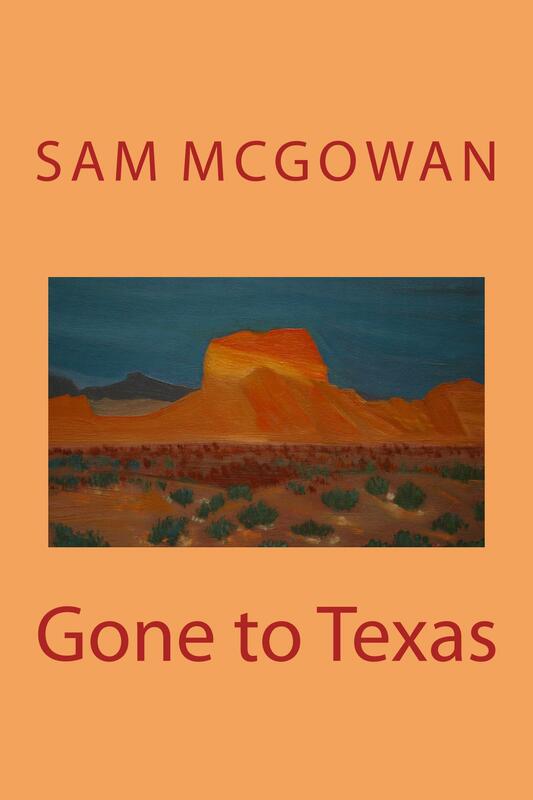 After their second child is enough to travel, Confederate veteran Sam Carter and his wife Sara set out for Texas where she has land she'd inherited from her late uncle. Using money they had hidden before the war to finance their journey and to establish their new home, they embark on their journey to find the land which Sara only knows is somewhere around Fort Davis, a prewar US Army fort that turns out to have been abandoned at the beginning of the recent war. When they reach Texas, they learn that their journey is only half over because Fort Davis is on the other side of the vast state. Their journey is hampered by an encounter with deadly outlaws who had been plaguing travelers in the East Texas Piney Woods, but who make the mistake of holding up what they think is an innocent family but are actually some of the most deadly killers in the country. Sam and Sara visit the land office in Austin where Sara learns that her holdings amount to some 10,000 acres of West Texas land. Expecting to find nothing but an expanse of land with perhaps the remains of a decrepit cabin, they arrived to discover that Sara's Uncle Tom had left his property in the hands of his friend and partner Pablo Canales and his wife Rosario to manage. Instead of a cabin, they find a fortified hacienda. Expecting to build up a stock of wild Texas cattle, they find that Sara is the owner of a herd of Spanish Astruian cattle and Andalusian horses. Gone to Texas is the story of the Carters and how they establish a home for themselves and other Confederate veterans in the remote Limpia Mountains of West Texas.